When is best season to travel in Xi'an? How about transportation in Xi'an? 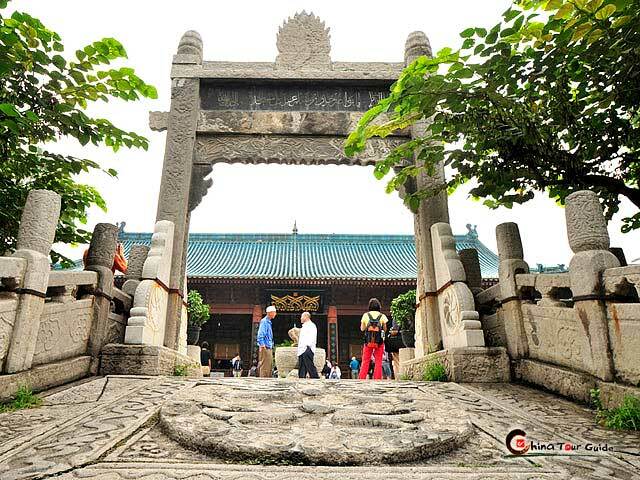 What is the famous attraction or tours in Xi'an? Where is dining place and what is featured cuisine in Xi'an? 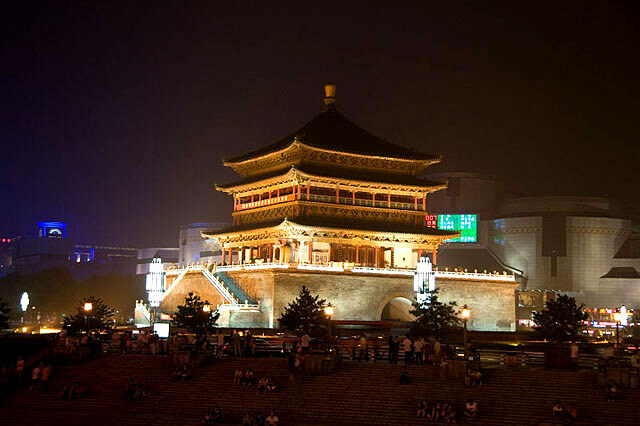 How about accommodation in Xi'an? 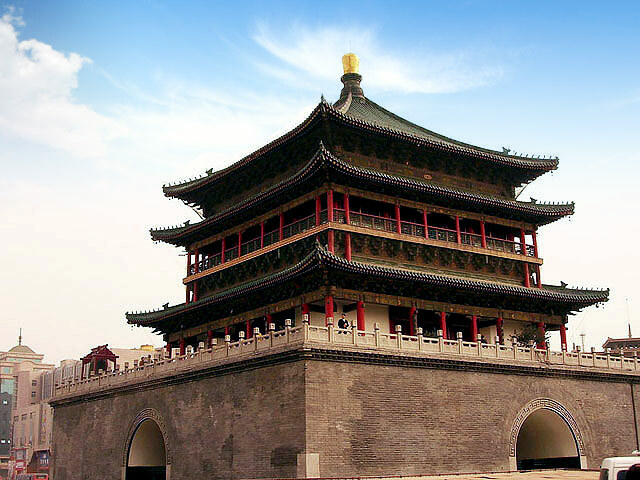 626-year-old Xi'an Bell Tower, one of the top ten attractions in Xi’an, is the largest and best-preserved of its kind in China. It is used to tell people the time as same function as the Drum Tower, bell-ring means morning is coming and drumbeat means the night is falling in the ancient time. 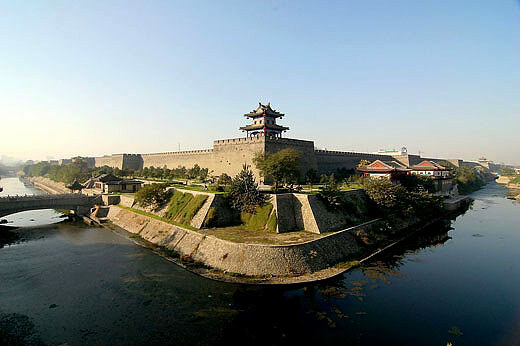 Located on the very center of Xi’an old city and near the Drum Tower, it became one of the landmarks of Xi’an. Meanwhile, many art exhibitions often held here all year around. Overview of the Bell Tower Beautiful Bell Tower is surrounded by heavy traffic. Bell Tower is 36 m (118 ft) high and stands on a brick base 35.5 m (116.4 ft) long and 8.6 m (28.2 ft) high on each side. There are three layers of eaves on the external carved beams and internal is up and down layers. There are tops on four of the corners of the tower eaves. The engraved arcs under each eaves come with color designs. The arc is one of the specialties in ancient timber constructions. It is unique in the history of world construction. It not only makes the construction firm, but also makes it more beautiful. All the Lights up at night in the Bell Tower. Night view of Bell Tower is beaufiful. As the city grew, however, the geographical center changed. Therefore, the Bell Tower was moved 1,000 m (3,280 ft) east of the original site in 1582. Except for the base, all parts are original, and history tells us that the relocation was accomplished quickly and inexpensively, making it a truly notable achievement in the architectural history in China. One of several legends about the Bell Tower tells us an interesting story. During the Ming Dynasty (1368-1644), several earthquakes struck the Shaanxi province leaving thousands dead and injured. Legend says a great river flowing through the center of Xi'an City held a dragon. This dragon was always active and caused trouble, even causing an earthquake. Official of Xi'an believed these words and ordered the city blacksmith to make a several thousand foot long iron chain in order to bind the dragon and sink it to the bottom of the river. He then ordered 5,000 craftsmen to repair the Bell Tower around the clock so that the tower could be used to anchor the chain. He believed this would suppress the dragon firmly under the river so it could not cause any more mischief. 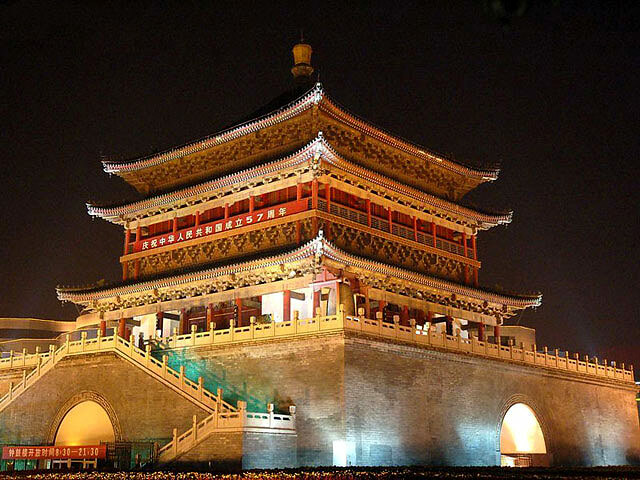 After establishing the Bell Tower, no more earthquakes occurred in Xi'an. 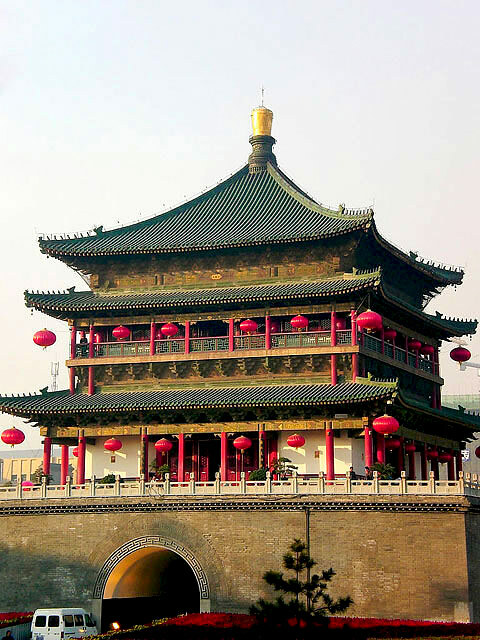 Big iron Bell named Jinglong on the Bell Tower was made in Ming Dynasty and it weighs 2,500 kilograms. It has given time to the city for more than 400 years. 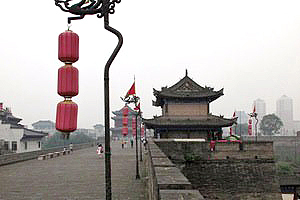 Nowadays, the clear and loud time-given sound on the tower in Xi'an, was the recording sound of that bell. One of the amazing scene is that the exquisite woodcarvings on each door in the tower which were decorated during the Qing (1644-1911) and Ming Dynasty. Each door has different woodcarvings that descript different ancient folktale. 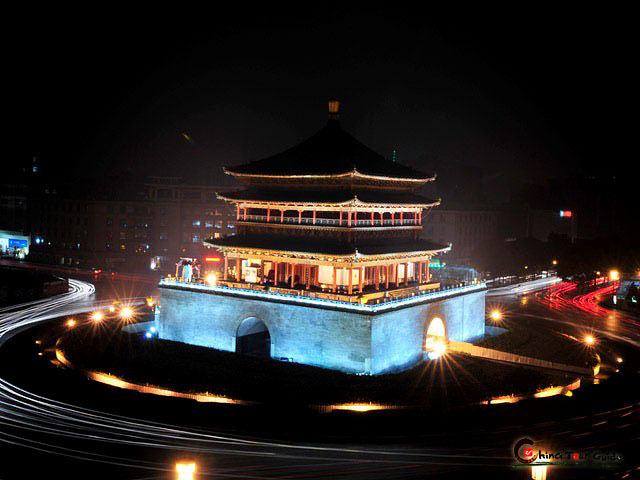 It is a beautiful scene that when night falls, Bell Tower is well decorated with light and lanterns. 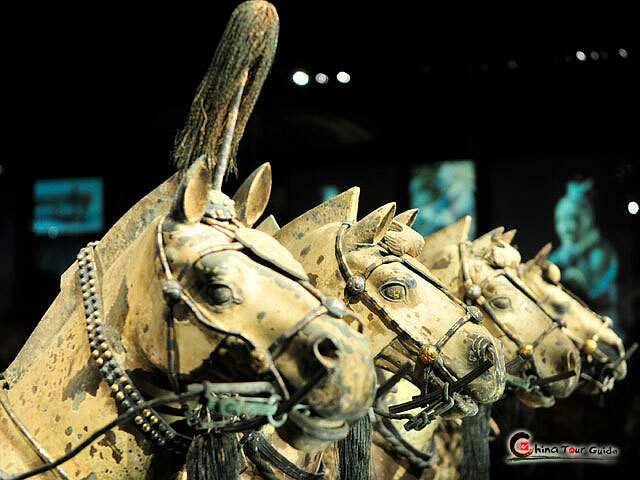 Please click " " to add the attraction in you favorite list, let us plan a private Xi'an Tour for you.